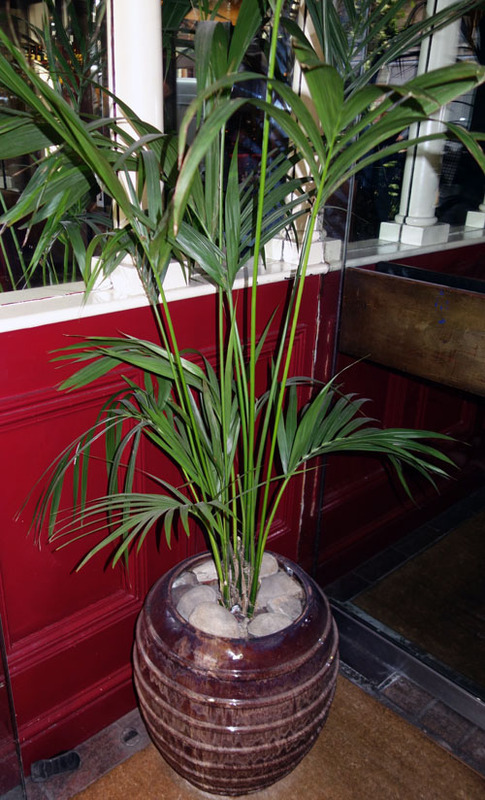 As I walked through Covent Garden trying to find a nice quiet space to sulk after my failed attempt to celebrate the Chinese New Year, I spotted the Palm Court Brasserie just off of the Piazza. How could this Florida girl not venture inside this tropical paradise to enjoy some liquid sunshine and French cuisine? 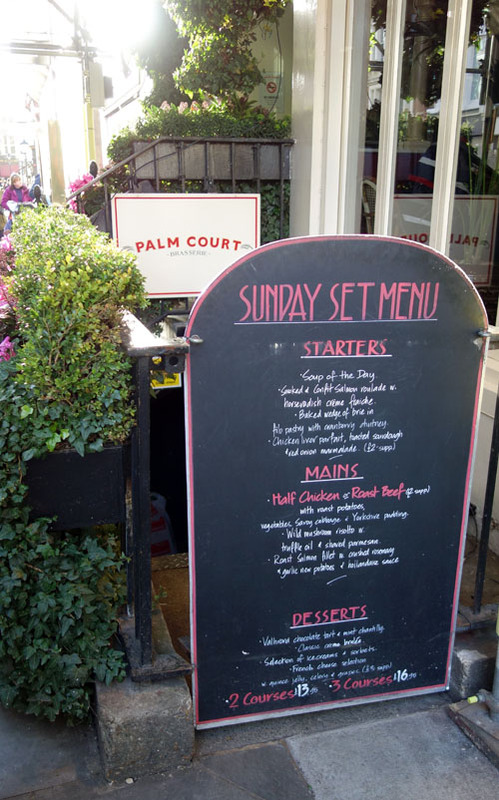 While I have to say, the “palm tree” in the entrance was a nice touch, it was actually the reasonably priced Sunday lunch options that reeled me in. 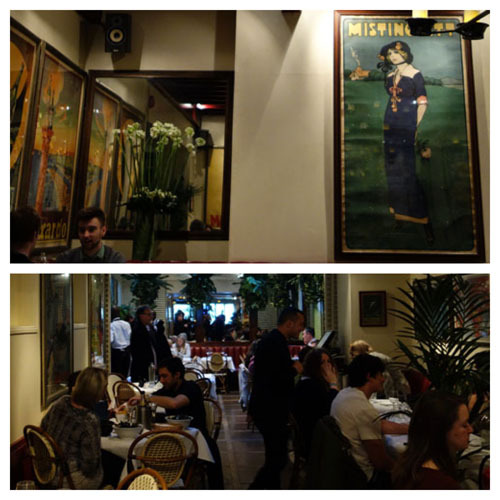 I immediately loved the beautiful 1920’s art nouveau atmosphere in this Parisian-style brasserie and appreciated the array of tables I could choose from at 2:30 in the afternoon. The waiter quickly brought me a glass of Rioja Tempranillo and guided me through the menu. For £13.95, I could have a starter and main course. 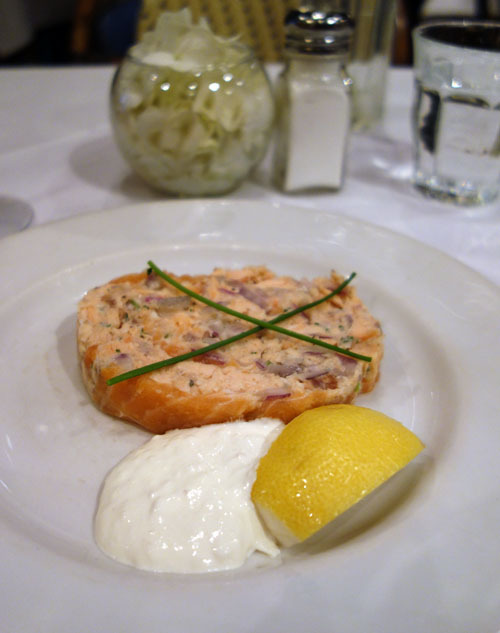 I chose the Smoked and Confit Salmon Roulade with Horseradish Crème Fraiche. 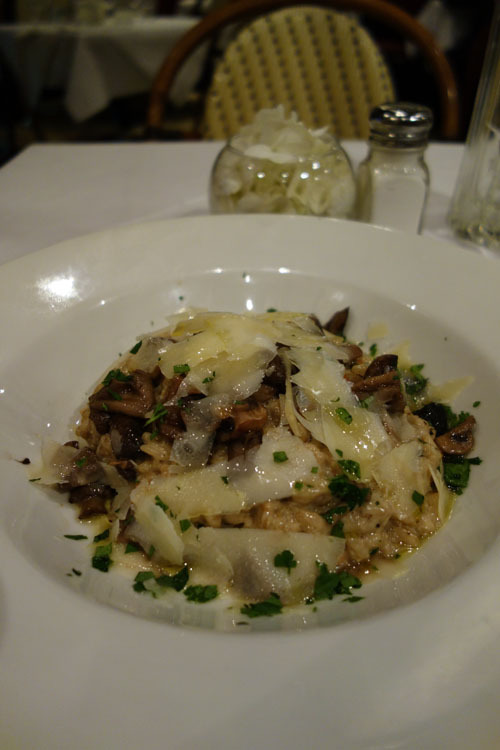 When I asked his recommendation for the main course, his eyes ignited as he indicated the Wild Mushroom Risotto with Truffle Oil and Shaved Parmesan was unbeatable. My first course was fabulous, but I have to admit, nothing compares to truffle oil. The entrée was mind blowing. Although, sometimes I think you could pour truffle oil on anything and still come out holding Michelin stars! 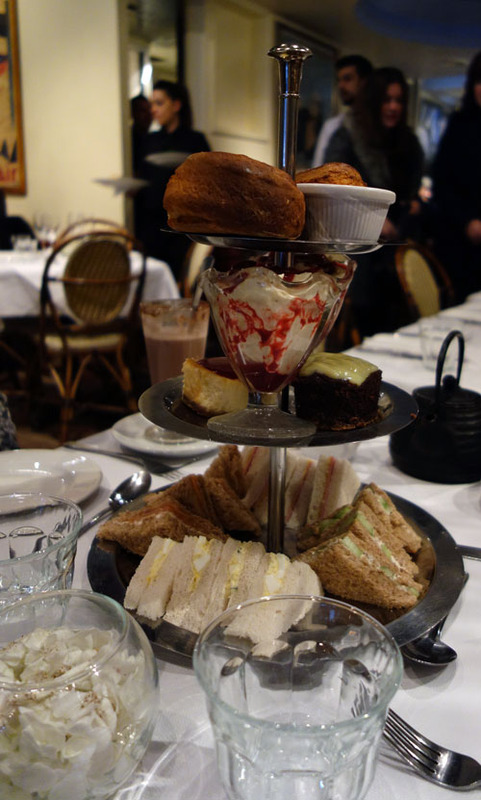 About half way through my meal, I heard the two girls seated next to me giggle excitedly as their afternoon tea sandwiches and sweets hit their table. What a carbalicious delight! Before they started their feast, they allowed me to grab a quick picture to share it with you. I regret I didn’t try the Cocktail of the Day, the St Germain Royale, but it sure is an excellent reason to return. 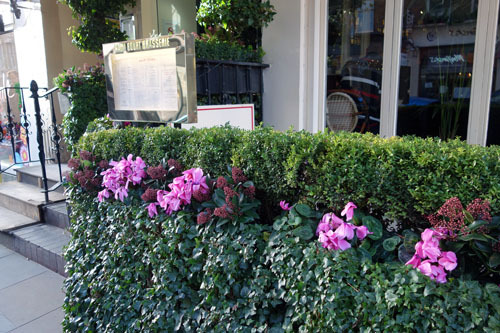 Sunny friends, if you’re in the Covent Garden area, do a truffle shuffle on over to the Palm Court Brasserie for an afternoon tea or other tasty delight. I’m sure you’ll be just as pleased as me. 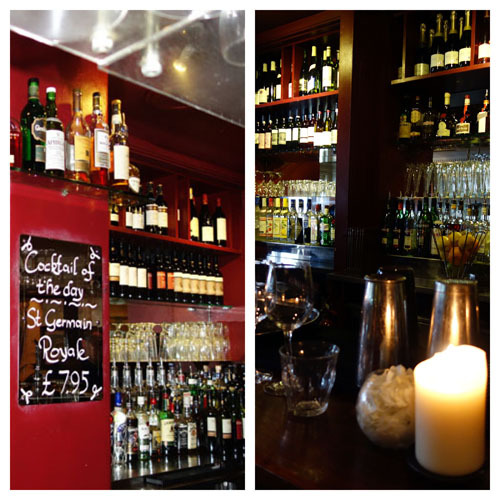 Or even better, let me know when you’re going and I’ll meet you for a St Germain Royale! No 11 Pimlico Road is better than a 10! L'eto Caffe- Where the Carrots Come from Oz! Chinese New Year 2014 London: Year of the Horse or Stampede?